Mar20 Comments Off on Public lesson: 60 years since the Treaty of Rome was signed and European Economic Community (EEC) was created. 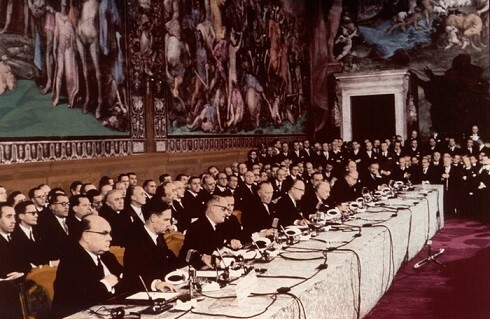 Public lesson: 60 years since the Treaty of Rome was signed and European Economic Community (EEC) was created. March 22nd, 2017, at 13:00 P. M.
Program: Presentation on: 60 years since the Treaty of Rome was signed and European Economic Community (EEC) was created, Mihai Cernencu, doctor of historical sciences, associate professor, interventions of FIUM teaching-staff and students, thematic exhibition, discussions, debates.